I work at a data company, trying to help clients and their companies to create smarter analytics and get the most out of their dumb data. One of the first questions I usually ask is: “What do you want to measure?” Most people respond with: “Everything”. Well, everything is quite a lot… and let’s be honest: Measuring everything is super unrealistic and will take you or your company too much time on controlling instead of running your business. That said, this article will help you and your company to find the most important metrics out of your (dumb) data to be smarter in analytics, saving you a bunch of time and helping you to feel confident with data and running your business. In the last couple of years we have been increasing the amount of data we used to produce in a year, now in just 1 day (read the article How Much Data Do We Create Every Day by Bernard Marr on Forbes). It almost sounds unreal… but it’s true. Social media, our smartphones, new Apps, websites and even our laundry machines are creating and storing crazy amounts of data every single day. Everything is connected to the internet and somewhere we are storing all this dumb data. Why is it dumb? Simply because we are storing it all! And we are barely using it. Research shows we are only using 3% of all data we generate… And do we have any idea of the cost of storing data on expensive servers? Let me tell you: Billions of dollars a year. How do we turn dumb data into smart insights? There are a lot of sayings about using “Common sense”… well this applies to being smart with your data too! 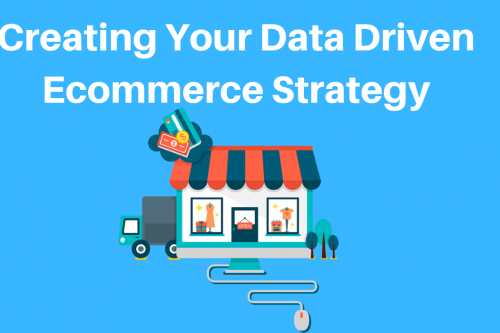 Having tons of rows, tables and storing all your data in big databases doesn’t automatically give you all the insights you need to be running a smarter company. Let’s say you are running a bicycle shop. So what do you wanna know about your business? What are some good business questions? How many bikes did I sell today? How people came into my store? What is best selling bike? What’s the demographics of my buyers? How many different buyers do I have? What’s the most sold color bike? What’s the most popular time at my shop? What’s the average price per sold purchase? Wouldn’t it be nice to track and measure all the above? Stop doing that! Half of these questions are definitely not worth spending too much time on. For example different type of buyers is not relevant. Knowing how many bikes you sell a week is very important though. It will help to you manage your stock more efficiently. 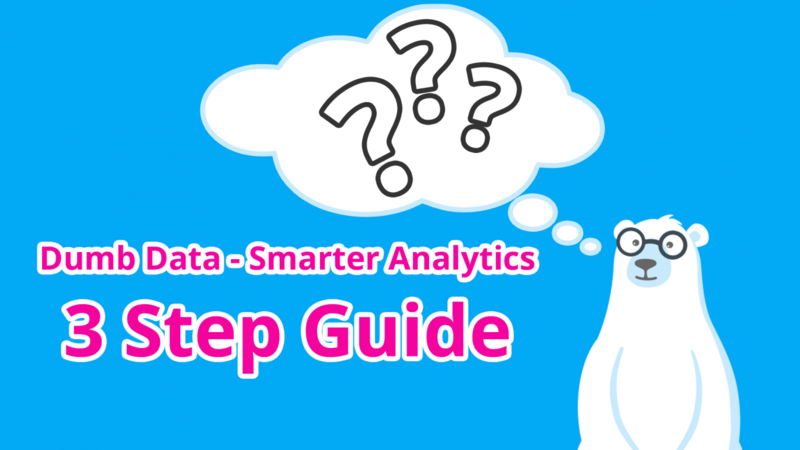 I created a very simple and easy to use guide with only 3 steps that will drastically improve the way you use your data and gain more potential of it (smarter analytics). This will not only make you more focused on the most important parts in your job/life but it will make you feel more confident on how you run your business… Plus it will give you back a lot of time! Because in this first step… we are not only filtering important data from your dumb data… No… we are starting with filtering on your most important metrics: Key metrics. After that, figure out how to get your hands on this data. Let’s look back at our bicycle shop. Thinking you know why your bicycle sales are down, by just saying yeah… it’s raining a lot lately and we have been seeing that a few times before… it’s OK.
Are you 100% sure that it’s just the bad weather? When you go for lunch and walk around the corner you see a new bicycle shop, damn a new competitor and he is selling the same bikes slightly cheaper. Don’t just think you know the answer, but figure it out. Have a good and close look on your key metrics. After you filtered, drilled down and lost your biases don’t forget to set targets. It’s great to measure and track. But if you don’t know when something is good or bad it’s pointless to track it at all. Let’s use our bike shop again. This is the real power of smart analytics. Stop looking at just numbers and really understand your business and grow. Do you need help creating insightful reports? Now you are here… if you want to save time on making clear and insightful reports. 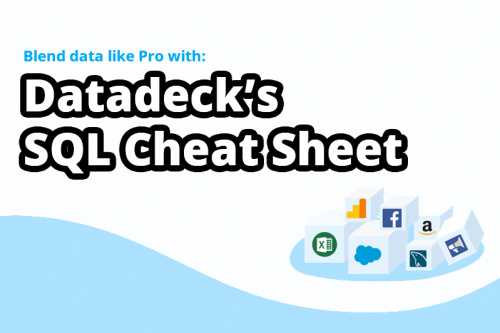 Sign up for a free Datadeck package and get our 1-click free dashboard templates. Nice one Guy! Have you ever tried to do a dumb reporting smoke test? Basically, you turn off all your reports then wait and see who comes back and complains. If no one complains it likely means people aren’t looking at your reports! That’s really an awesome hack to clean up and stop spending time on reports nobody cares about 😉 Thanks for this one Roffo!